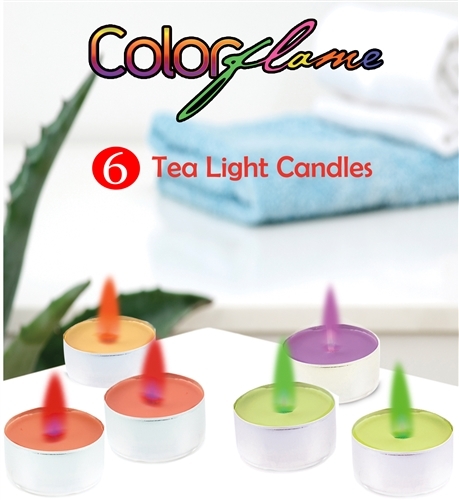 Set a new mood with our Colorflame tea light candles. 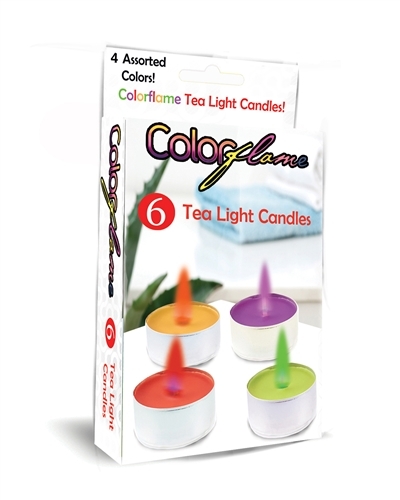 Colorflame tea light candles burn in COLORS… the actual flame burns in brilliant hues of RED, PURPLE, ORANGE and GREEN! 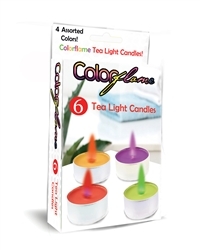 ·Colorflame candles are great for enhancing any atmosphere. 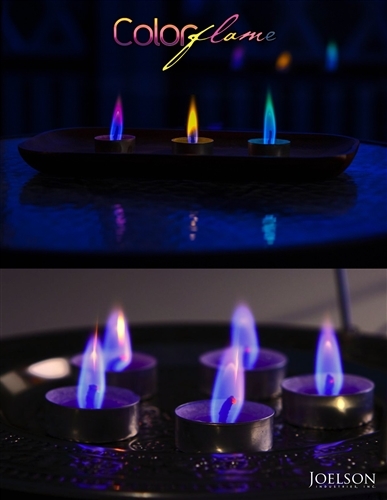 Candles burn in one of 4 delightful colors. Candle flame colors: red, purple, orange and green. Made with non-toxic, water-soluble, biodegradable and environmentally friendly materials. Includes: 6 aluminum surround tea light candles per package. Approximately 60 minutes of burn time per tea light candle.